PowerObjects’ integrated housing solution, PowerProperty, harnesses the power of the Microsoft Cloud and Dynamics 365 to reduce costs through automated business processes and more efficient operational developments. This enables a self-service channel-shift that improves the customer experience and helps housing associations manage growth on a technology platform that can easily be adapted to on-going changes in the sector. A single source of data across front, middle and back-office for more accurate reporting that can lead to better informed and quicker decisions. Improved customer experience and satisfaction levels due to enriched data that’s supported across multiple channels. Automated business processes that can improve staff productivity levels such as field service scheduling or case management. Flexibility to adapt to new processes and external changes in the sector. Remove barriers between different departments within an organisation that will lead to a more cohesive workforce. Predictive and personalised approach to tenancy and asset management. Learn about the possibilities for Housing Associations to use technology and data to manage, maintain and promote social housing stock. Explore the requirements for a successful, next-generation CRM or Dynamics 365 deployment in this eBook. 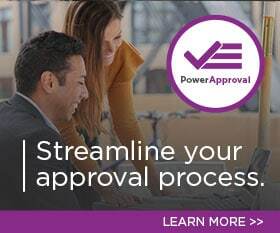 Request a Free Demo of PowerProperty Today!